Blog Quick Quotes: Celebrating the 4th and our New Releases! Celebrating the 4th and our New Releases! 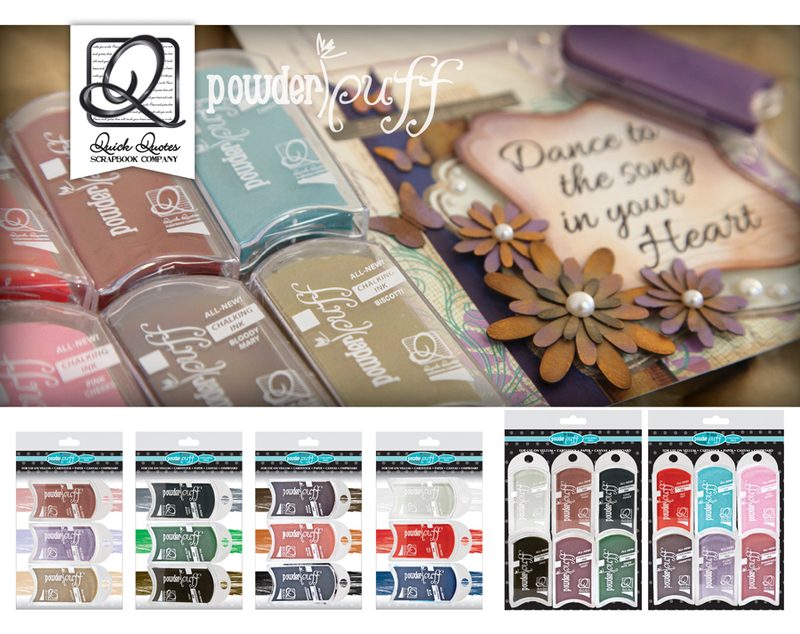 Quick Quotes Scrapbook Company is rolling out new PowderPuff Chalking Ink Packs, Back 2 School Collection, 19"x27" Mixed Media Jumbo Papers, Wire Bound Album Kits, Alpha Tabs Chipboard Die Cuts, 12"x12" Paper Pads and a Christmas Collection! Want to see more? Yes! Somehow, I just knew you were going to say that!!! Leave us a comment on what you're most excited to see first and we will make one blog commenter a very happy crafty person with a yummy prize!!! Oh what fun! New supplies! So many fun new ideas. They all look wonderful.really like the chipboard tabs and new papers, but what I find the most inspiring is the new large papers. They will be great for projects. Thanks for the new goodies! Loving the new chalks and so intrigued by th jumbo paper! loving the jumbo paper, they would be perfect for a project i am working on. but I am always in love with the chalking inks. Fun bright colors in the Back to School collection! I'm loving the Chalk inks and the Christmas collection. I'm looking forward to trying out the new jumbo paper. Love it all, especially the chalking inks! I love your chalks so that's a must but the back 2 school is great!! Can't wait!! Oh I think the Mixed Media paper looks interesting, and who doesn't want to see anything Christmas! Thanks for sharing and the chance to win. They all look great but I think my favorite would be chalk inks and school. Thanks for chance to win!! Lovin' the Alpha Tabs! So versatile. This is the first Christmas collection I like this year! I am putting it on my wishlist - when will you ship? The back to school line is also a lot of fun! I love the new papers, can't wait to getsome. I didn't know that you sold kits!! That's what I'm most excited about. Lots of great new things! 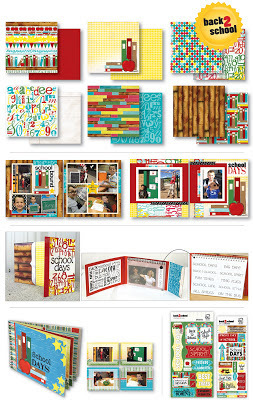 Especially like the chalks, school mini album and alphabet tags. The alphabet tags would work great on a phone album, I want to make. The albums look so cool and thick. I need some for my vacation photos. Love everything, but the new Chalk Inks caught my eye first with the great colors and the jumbo paper pack is a must have for big projects. Can't wait to get more chalk inks which are my favorite to work with. Loving all the new products especially the alpha tags. Can't wait to try along with the chalks!! Love the new 6 pack chalks, beautiful colors. Also interested in the larger paper, I have not see that before. WOW! 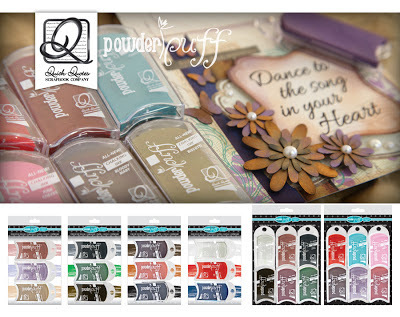 Really excited about the Powderpuff chalk inks & the larger papers!!! Woo Hoo!!! Great stuff! Can't wait for the Back 2 School line! I am most excited to see the wire bound album kits! Paper. paper, paper. You can never have too much paper. Those chalk inks look good too. Thanks for the chance. How to choose!! It's all great. Might have to pick the Mixed Media Jumbo Paper. And, always the chalks! Love them all, such a great variety! My favorites are the chalks but those alpha tabs are very cool! LOVE LOVE LOVE IT ALL, but my fav is the back to school collection! What a great birthday present this would be if I won the "yummy prize". Yes, my birthday is today! Thank you for the chance to win!!!!! My daughter just finished kindergarten. I love the back to school kit. I was so excited to see your Back To School Collection that I think that my pupils dilated and I let out a happy scream! I can see so many uses for this collection this next year as I teach my Kindergarten students!! How fun! You definitely get an A+!! Thank you for a fabulous creative filled giveaway. 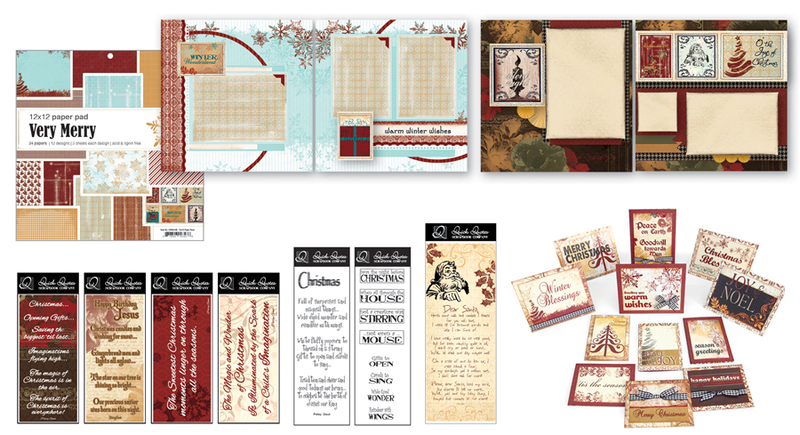 I am excited to see the jumbo papers, the paper packs and the chalk inks! have never tried the chalk inks before but I LOVE the new colors! Ooow, love the paper pads, the chalk inks and the mixed media papers! Loving the new colors! 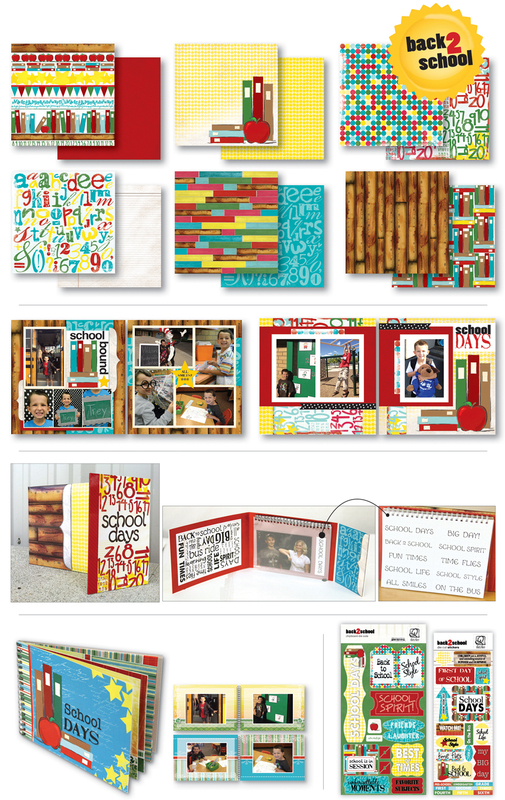 Love it all -- my favorite is the back to school collection. I like the back-to-school collection...really cute! I think my favorite would be paper pads, chalk inks. Thanks for chance to win!! It all looks great! 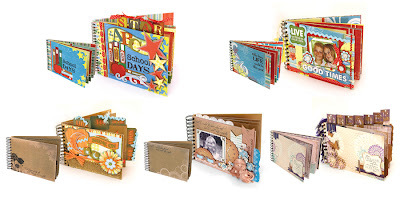 Really want to see the Mixed Media Jumbo Paper and the Alpha Tabs in action! I love the giant paper! Awesome for home decor projects! 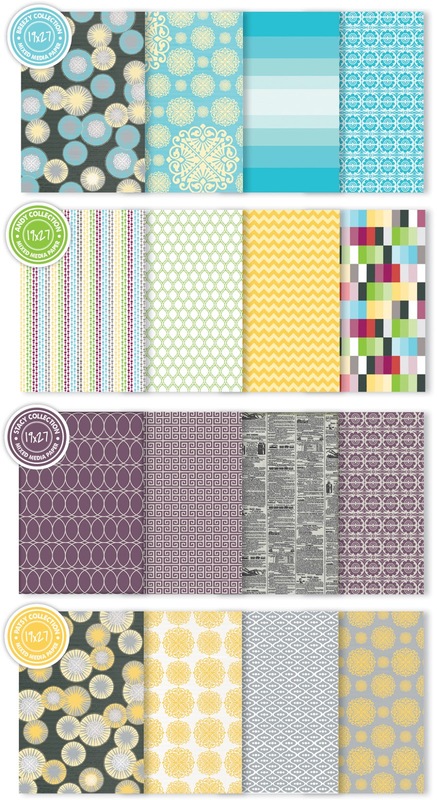 I especially love the grey/yellow and the teal!!!! I love all the new colors and the chalk in combo packs. I think the chalk combo packs is what I am most looking forward to, but it is pretty hard to pick just one. Love the back to school and Christmas papers! I am loving the wire bound album kits but all the collections are fabulous. Thanks for a chance to win. Wow I have to pick one? Everything is exciting! I guess jumbo paper is always a win! I am excited for the new Chalk inks. The jumbo paper pads look amazing . I love the new chalk inks! can't wait to get those! I'm a fan of the chalk. Variety packs are great.